Mobile will be the focus of customer loyalty in 2014, and opting consumers to mobile promotions will play a key role in running successful mobile marketing campaigns. According to the Internet Trends Report, mobile as a part of the marketing ad spend mix accounts for only 3% of marketer’s ad spend. The perceived and actual complexities and risks of mobile has made marketers slow to act. However, there are bold marketers out there who have realized the potential of mobile for their business. 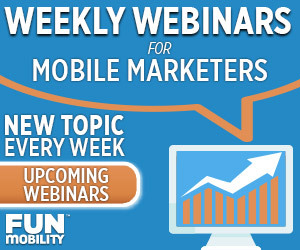 They’re reaping the benefits of being early movers, as they get a head start in growing their mobile opt-in list. 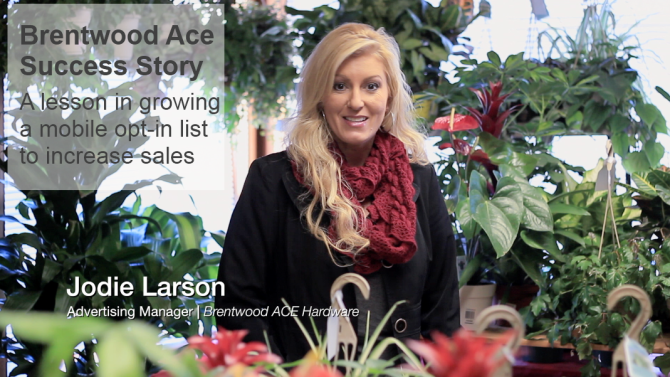 Watch the above testimonial video of Jodie Larson, Advertising Manager at Brentwood ACE Hardware and an early mover who integrated mobile into their greater marketing strategy. In just their second month of using mobile coupons, Brentwood ACE Hardware grew their mobile loyalty list by 545% and increased their average basket size to over $90! Consumers want to receive mobile optimized coupons and promotion offers direct to their mobile device. Now is the time to bridge the gap between you customer preference and your marketing priorities. Find out how with a free demo today!